Do you have copy writing skills and are looking to progress your career? 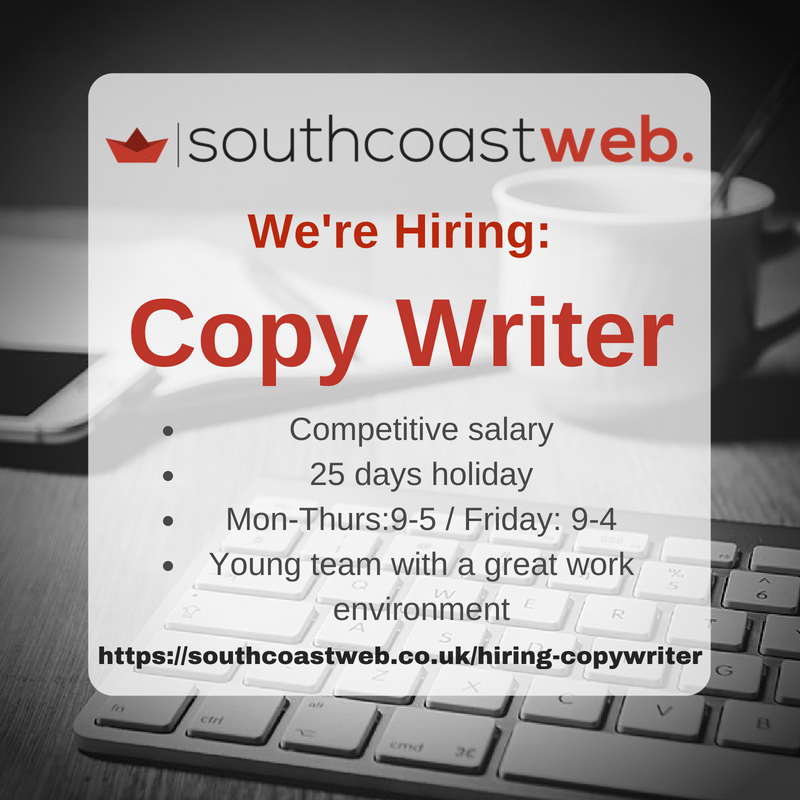 We are a growing web company in Poole looking for a full-time permanent copywriter. No need to have years of experience, but passion is everything. We are looking for a bright, like-minded person to join us on our journey to grow the SEO department and the business. Working in a rapidly expanding, passionate, team of young professionals, you will be responsible for all copywriting to including mainly SEO content writing, however, there will also be aspects of website content writing. You will need to be able to write error-free copy with the ability to critique and proof your own writing and will be working across a huge variety of industries. This brand-new position offers a creative, fun team environment, paying up to £18,000 with other great benefits for the right candidate. This role will grow with the company, with the view to developing into Head Copywriter. SEO experience and knowledge isn’t mandatory as this will be taught on the job, however some experience of copywriting would be great with lots of passion to develop your skills and experience. However, there will be aspects of SEO in the role and therefore we are looking for someone who is willing to learn and develop their craft, as well as learn new skills.